Rockets are not a recent invention. The Chinese were using rudimentary rockets, or “arrows of fire”, as weapons as long ago as the 13th century and those early rockets were very similar in design to modern day fireworks. Over the next few hundred years, rocket design was refined and the first drawings of a multi-stage rocket were made in 1591 by a Belgian named Jean Beavie. 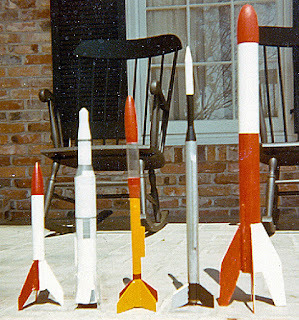 Although there were many small rockets produced in the intervening years, the first model rocket with a modern model rocket motor was designed in 1954 by Orville Carlisle and his brother Robert. Their original rocket was designed to be used to demonstrate the principals of rocket powered flight. Following the launch of Sputnik in 1957, interest in rocketry grew and many people started to try to make their own model rockets. When Orville Carlisle read about some of the tragic accidents that had occurred with homemade model rockets, he realised that his model rocket engine would be perfect for the emerging hobby of model rocketry. Carlisle sent his model rocket engine to G. Harry Stine, who was a safety officer at a missile range. Stine built model rockets with the engine in and he tested them on the range. Stine later set up the first model rocket company, Model Missiles Incorporated (MMI), in Denver, Colorado and used a local fireworks company to make the model rocket engines. The rocket motors were unreliable, though, so Stine started to look elsewhere for a supplier. Stine eventually found Vernon Estes, who was the son of a fireworks maker. Vernon Estes then developed the first machine for mass producing model rocket engines for MMI. The machine, known as Mable, was so efficient that it could manufacture model rocket motors faster than MMI needed them. Stine’s company MMI eventually got into financial difficulties, so Estes started to market the model rocket engines independently. In 1960, Estes began to produce the first model rocket kits and it wasn’t long before Estes dominated the model rocket market. Vernon Estes moved the company to a new site in Penrose, Colorado in 1961, where it continues to operate as a subsidiary of Damon Industries today. 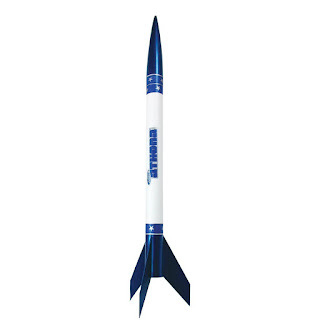 Model rocket companies have come and gone over the years but, despite the emergence of other model rocket manufacturers, like Quest Aerospace, Estes remains the dominant force in model rocketry. 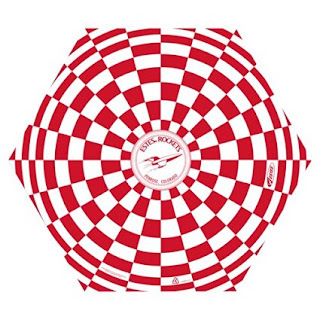 While high powered model rocket motors, reusable motors and custom motors are available from companies such as Aerotech, Cesaroni, Rouse-Tech, Loki, these are still very much on the periphery of model rocketry. The simplicity, safety record, and the reliability of Estes model rocket engines and Estes model rocket kits has kept the company in its number one spot. 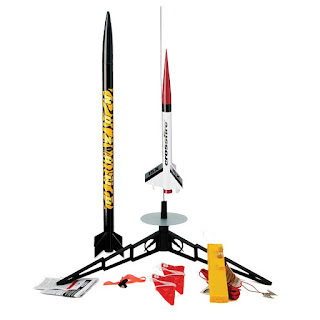 The focus that Estes has placed on providing safe model rockets for school children and the model rocket bulk educator packs that they provide for schools and youth groups, means that the first name that people think of when they want to buy a model rocket is usually Estes. Model rockets in the 1950s were far from safe, but today, model rocketry has an excellent safety record. That’s due in no small part to the work of Vernon Estes and Harry Stine, both in the design of the modern model rocket engine in the drawing up of the NAR Model Rocket Safety Codes.